Life is wonderful for Afa Ah Loo one of Samoas’ foremost emerging young fashion designers. In 2015 his designs were on the catwalk of the Fiji Fashion Week, and more recently at the ‘LA Fashion Show’. He was also a designer for our Miss World Samoa, Latafale Auva’a. This past year has been hectic for Ah Loo on the runway and designing dresses for pageants and weddings. While he was in Los Angeles, Miss World Samoa Latafale Auva’a contacted him and asked him to be her main designer. This was an opportunity that he could not resist. 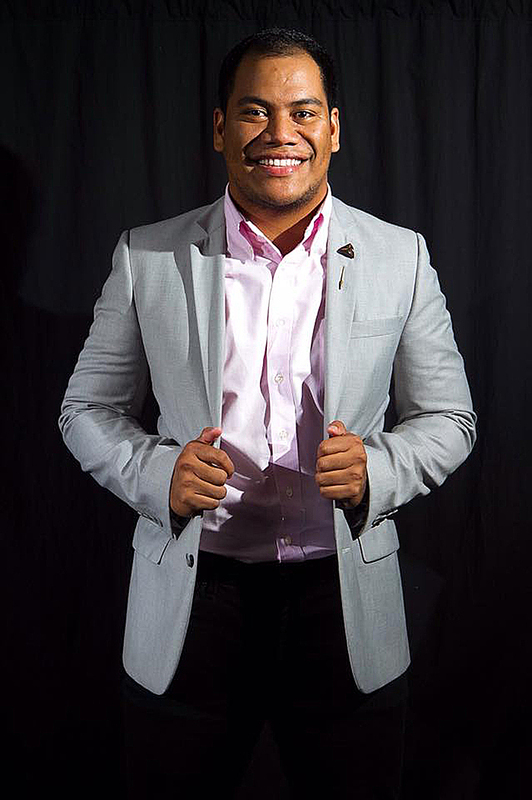 He left Los Angeles early and began designing for Miss World Samoa. “I want to do a fashion show in June before I go at Home Café. I’m excited for what Samoa has to offer in the future, there is so much untouched beauty, it will go boom. We have to get over copying other people as I have seen copies of my designs in other shops and it’s on their racks.” I mentioned to Ah Loo that it is important for designers to register their creative designs and fashion collections and in Samoa this can be done with the Ministry of Industry and Commerce. Ah Loo will be going to Utah in July and he hopes to go to fashion school in New York as he would love to study fashion and design. He particularly wants to go to a fashion school where his favourite designer is Zack Posen studied. Ah Loo wants to know how to uses patterns, dress forms, and how to do drapery. He comments…”I find it very difficult to use patterns. So I will be excited to get the proper training. Currently I get my ideas from dress shops and looking on U Tube.” Ah Loo knows that he will learn a lot as school and this will help him in the end become a better designer as well as opening up doors for his career and giving him the opportunity to mix with the fashion world. Ah Loo is getting married in September and will move to the USA. While he is concerned about loosing his client base in Samoa he understands the need to expose himself to new ideas, to stimulate his creativity and to be surrounded with innovative and exciting people and opportunities.